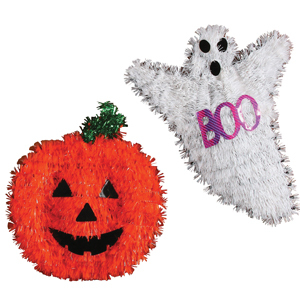 • Hang anywhere to add color and fun to Halloween decor. • Tinsel on wire frame. • 2 assorted, Ghost and Pumpkin. • Packed 24 per case, $2.25 each.